There is something about the leaves changing that makes us long for a new chapter in our lives. Fall is often a time where we finally have a little time to ourselves, so we sit, reflect, and consider what we could change. There is always a little room for improvement when it comes to self-care, as it’s not something one is born inherently knowing. With so many hours spent in front of screens, swiping left and right on apps, and comparing our uneventful day to our friends vacation Instagrams, it’s important to set aside some time dedicated to inner reflection. 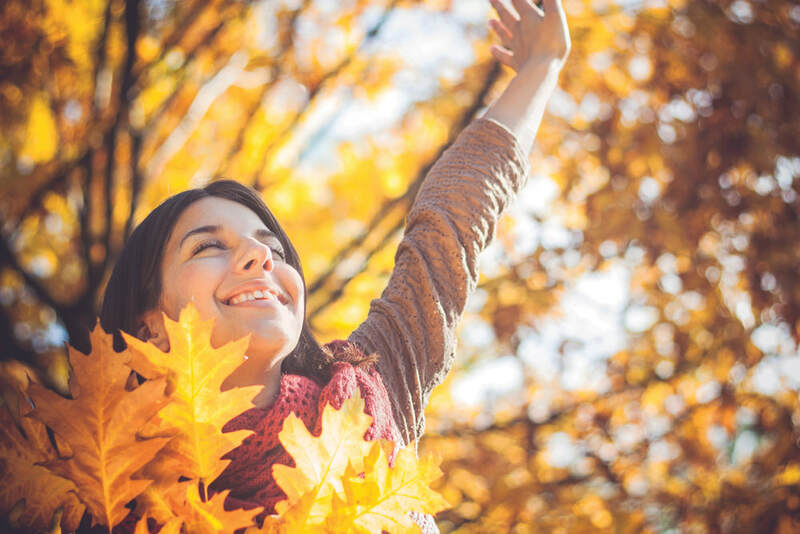 If you’re unsure where to begin, consider these tips to help you feel like the best version of yourself this fall. No matter what you’re doing this fall, make sure you wake up every day and set intention to your day–establish a meaningful purpose. It can be something small or as simple as setting a new goal for yourself every day, like learning a new recipe, practicing on a language-learning app, or trying that new fitness class you’ve been wanting to explore. Finding something you love is key to having a season full of self-discovery. No matter what you do, start your day by giving thanks for the chance to begin again and find something new. Forget about unrealistic fad diets–not only will those keep you farther and farther away from your ideal health goals, it’s not something actually sustainable. Diets restrict us from eating the food we enjoy, making us a little miserable in the process. When it comes to being healthy, it doesn’t have to be this way. While it is true what they say (“your body is a temple”), the key is moderation. If you’ve been wanting to make some health improvements, consider adopting a lighter, more vegetable-focused lifestyle change like incorporating more plant-based foods. Not only is it a way to explore various types of food and recipes, it will benefit your well-being in the long run, too. Once you lead a healthy lifestyle, it will boost your energy, self-esteem and overall happiness. Your time is invaluable, so no one deserves it more than you. Make some time in your busy schedule to turn off your phone, block out any noise, and practice honing mindfulness. There are an innumerable amount of ways to achieve a peaceful state of mind, so don’t hesitate to try different methods until you find what works for you. Being mindful of yourself will lead you to being more present, a key factor in finding joy in life’s short moments. No matter if it’s through yoga or meditation, mindfulness can help you find a strength you never knew you had. From lavender to eucalyptus and tea tree, essential oils can promote relaxation while also providing health benefits such as improved sleep quality and better concentration. You can incorporate them in your daily yoga practice and meditations or simply rub some on your wrists, temples or on the back of your neck as you start your day. “We’re seeing an increased interest in natural health remedies but a lack of credible information in the space. If you’re looking to add anything to your daily wellness routine be sure to reach out to a trusted professional before trying something new, said Mark Lewis, Executive Editor at Remedy Review. Sometimes the best way to further our self-exploration is simple–go outside! A walk outside is one of the easiest, and least cost-effective, ways to spend a little time with yourself. Being in the outdoors under the sun’s warm embrace helps us forget about our worries and focus on what surrounds us. According to a new study through the app Urban Mind, the mental health benefits of going for a walk can last up to 7 hours. The positive effects of spending time with nature stay with you even long after you have experienced it. Take advantage of these cloudless days by going on a walk and listening to your favorite songs–your mind will thank you. As the season changes, so does our skin and its needs. Consider taking care of your skin more closely to help you look and feel your absolute best. It’s also equally important to treat yourself every once in a while. Consider gentle exfoliation to improve your skin’s texture or an at-home face mask. After all, when your look and feel your best, your confidence will radiate through you. No matter what your skin type is, don’t forget to check out a moisturizer with sufficient SPF. ​There are many things you can do to improve your confidence and self-esteem. These are just a few suggestions you can follow. Remember to always reflect on your own personal needs and stride to set goals to help you feel your absolute best. Don’t Be Concerned With Looking Younger, Focus On Feeling It!